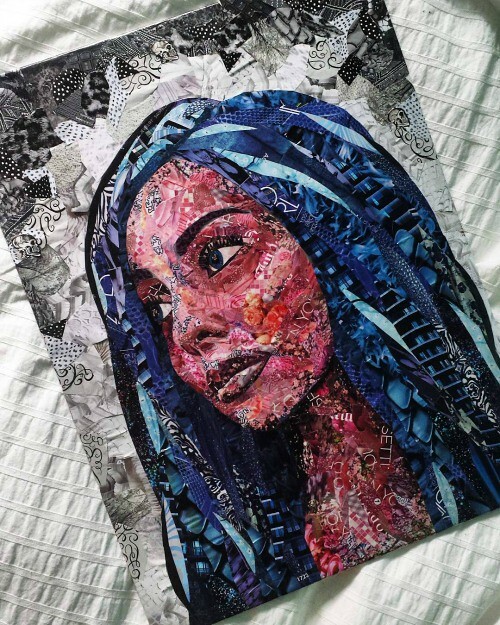 Every now and then I'll spot paper art on Instagram that simply stops me in my tracks. 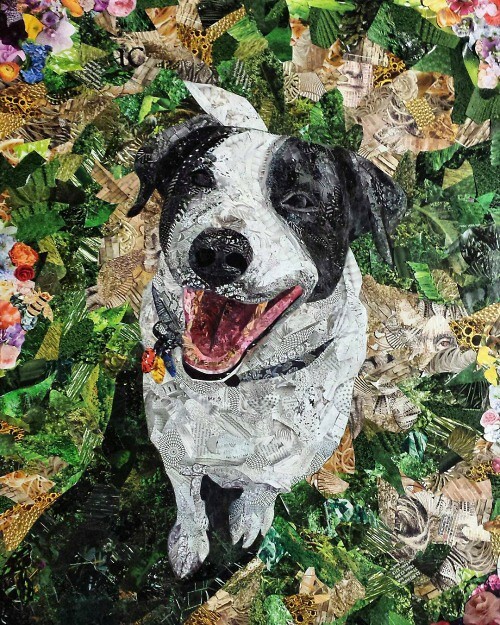 That was the case when I came across collage portraits of family, friends and pets that Annie Brandicourt creates with the simplest supplies - magazine pages, scissors and a glue stick - by referring to a photograph. Each one wows with expressive realism. Because I love to feature emerging talent, I wrote to Annie, a Michigan university student, to ask about her artistic path. I guessed that she is majoring in art and was curious to know if I was correct. I am actually a social work major, but I do art for commission on the side, and as a much loved hobby. 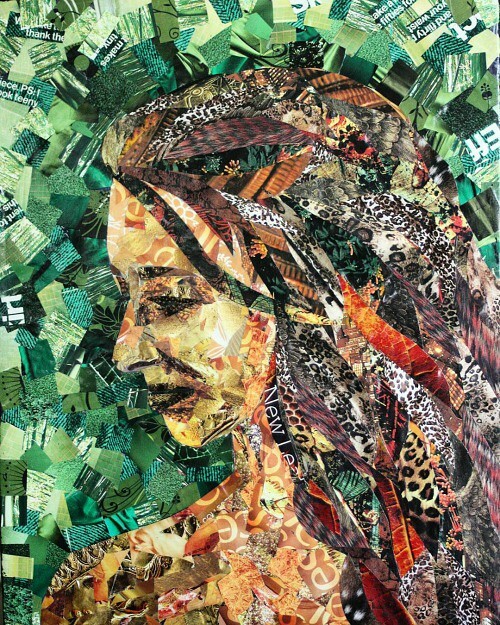 I began collaging in high school after taking a ton of art classes. I have always loved making things (sewing, drawing, painting, crafts, etc.) and am drawn to compiling images that tell a story. At first I would make collages out of entire pictures, but soon started cutting the pieces smaller and smaller, so now I use them almost like paint to get shading and shadow. 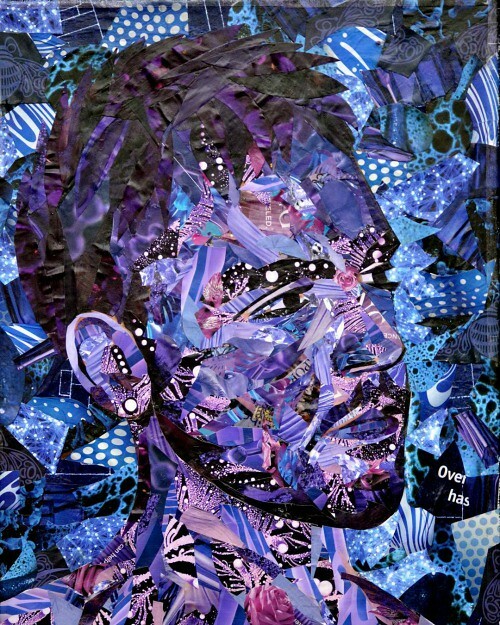 Derek Gores was, and still is, one of my main inspirations and role models as I began doing my own collages. I really like to make actual things with art, especially physical things to use to decorate a room or space (for example, curtains, floor mats, pottery). I also like to draw, but collaging is more hands-on and stress relieving which I love. 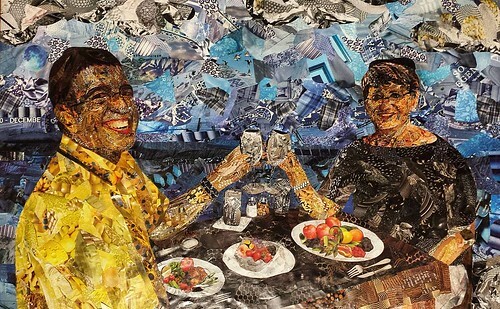 Each collage takes about 20-30 hours to complete. 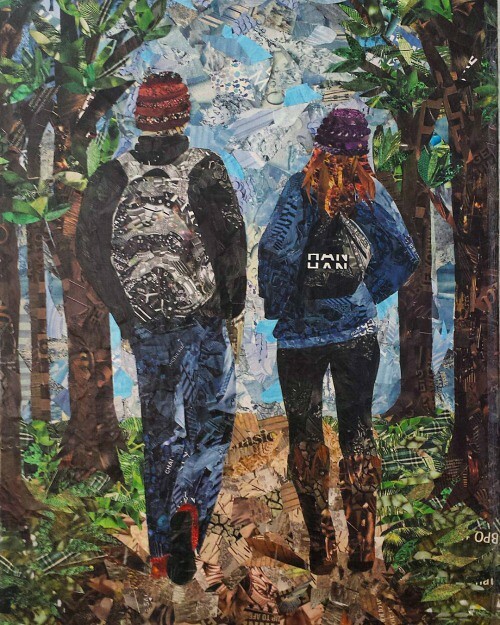 Have you had the opportunity to exhibit your collages locally? I exhibited my work first at my high school and then here in college at a local coffee shop. I also entered Art Prize this year which is a massive art show located all over the world, but specifically in Grand Rapids. While I did not win anything, it was an honor to be included as a participant. 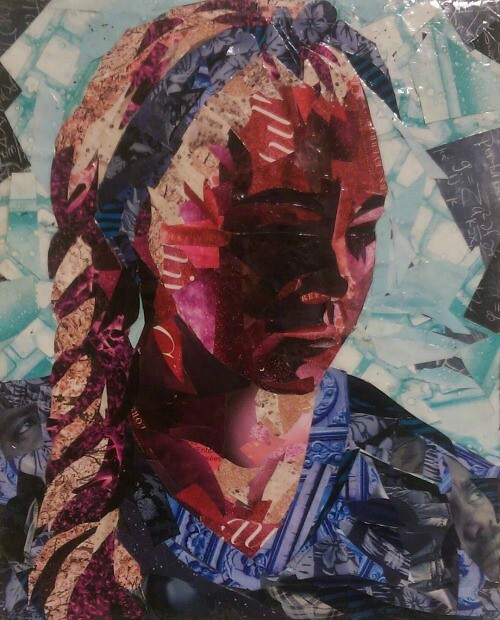 Are you able to fit art electives into your schedule? 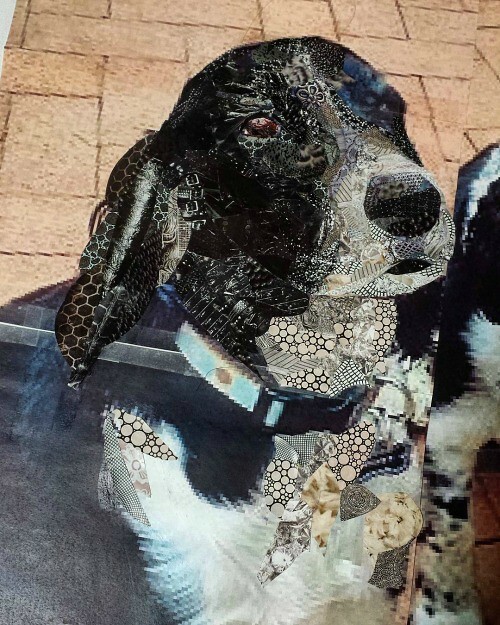 I'm not taking any art classes, but my collaging serves as all the art time I could want! Especially now that I do commissions. I don't have a website or a blog at this time, but loved blogging in the past and would like to begin again when I get the chance. 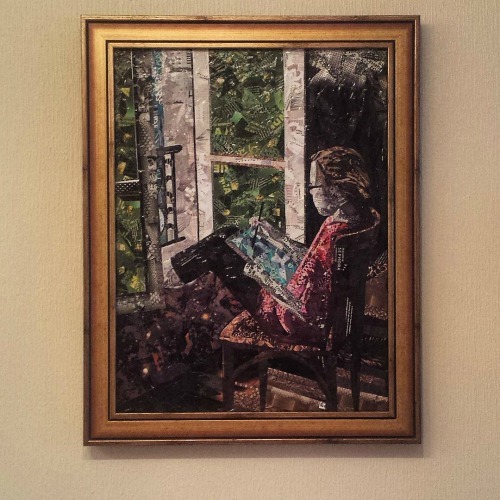 Meanwhile, I post photos of my latest work and can be reached via Instagram where I am @collagearts101. What a talent! Thank you for finding and sharing her work, Ann. So glad you enjoyed the post, Maureen, thanks for your comment. What beautiful pieces...thanks for sharing. You're welcome, sc... thanks for your enthusiasm! It's amazing what people can do with talent and paper! Thanks for sharing. These are amazing! I live in Grand Rapids and go to Art PRize every year. I am not sure if I saw her entry (there are over 1700) but will try to see it if she enters again! Good for you - finding such a talent!!! Her work is AMAZING! Her work is amazing!! 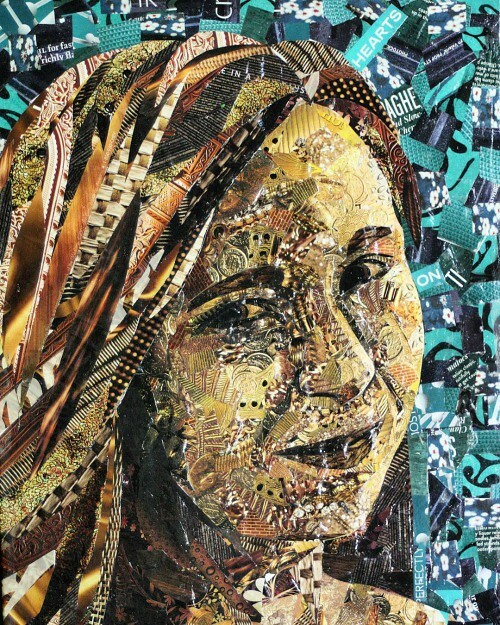 I clicked on the ArtPRize web site to see some of the art entires and there was a quilled work done by Kimberly Woltz. So glad you all enjoyed seeing Annie's collages. Jean, I envy you being able to see ArtPrize in person each year. Gail, what did Kimberly quill? It was a mandala design. Wow, these are amazing. Great style and what patience!